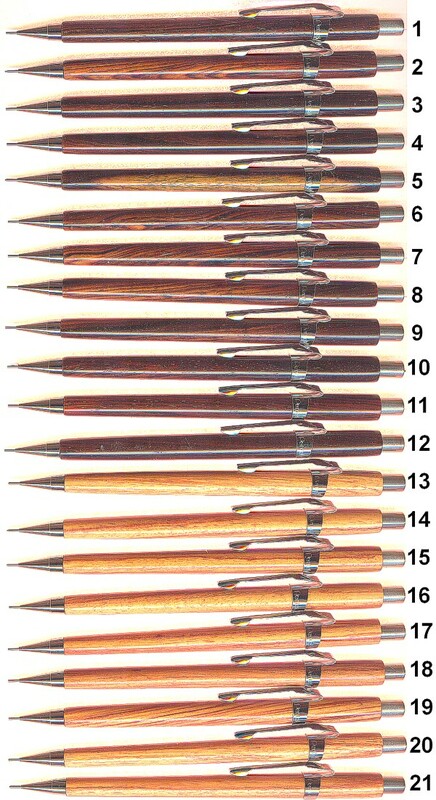 The pencils shown may look like a whole lot of the same thing, but there are subtle differences in the tapers and curvatures of the grip as well as the pattern of the wood grain.
. The pocket clips can be slid up or down to suit your preference. The pictures are broken into groupings of about 20 or less to aid those with handheld devices. I hope this will make life easier for the more mobile folks. 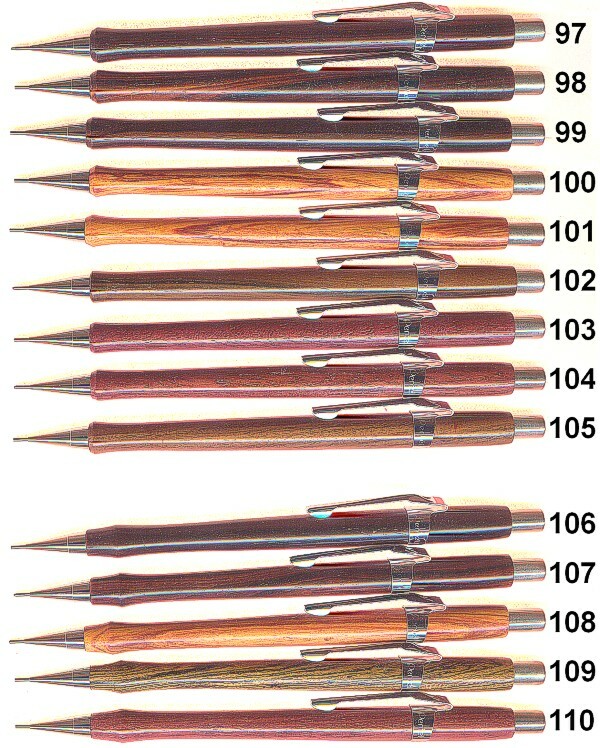 To request specific pencils, request size (.5 or .7), tapered or flared, the number next to the pencil and the wood (eg. 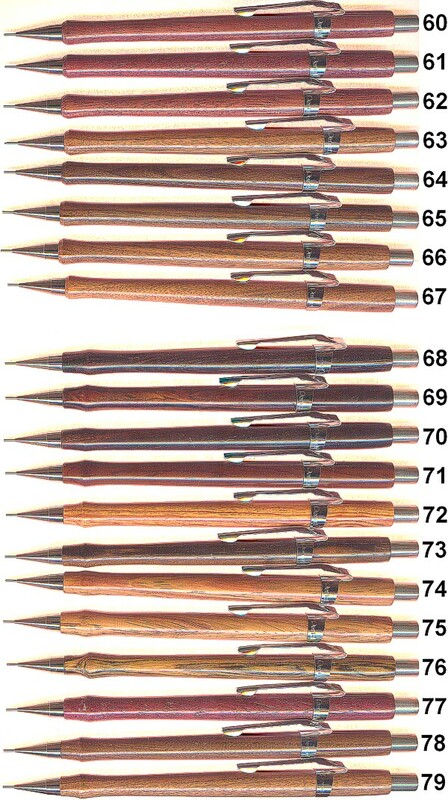 .5mm, tapered #5, cocobolo). We will hold items on reserve for one week pending payment. The numbers on the pictures correspond to those on the wood list. 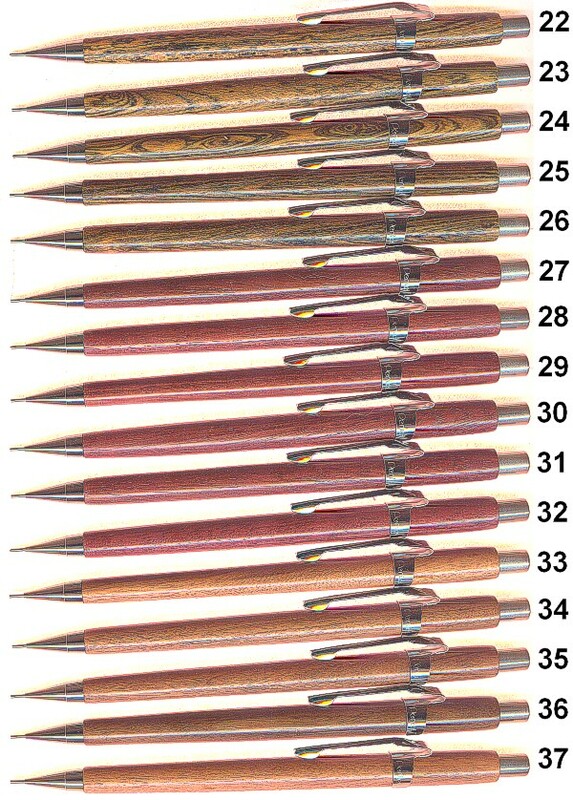 Please, DO NOT request pencils that have been labeled as SOLD. 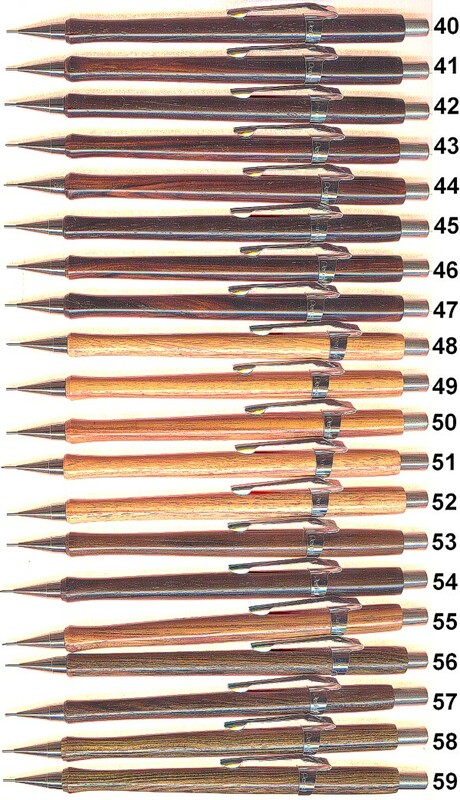 Some have a flare above the end of the wood for those who hold their pencil higher up. Those are in the second picture. The tapered ones are in the top picture, the flared ones in the bottom one. 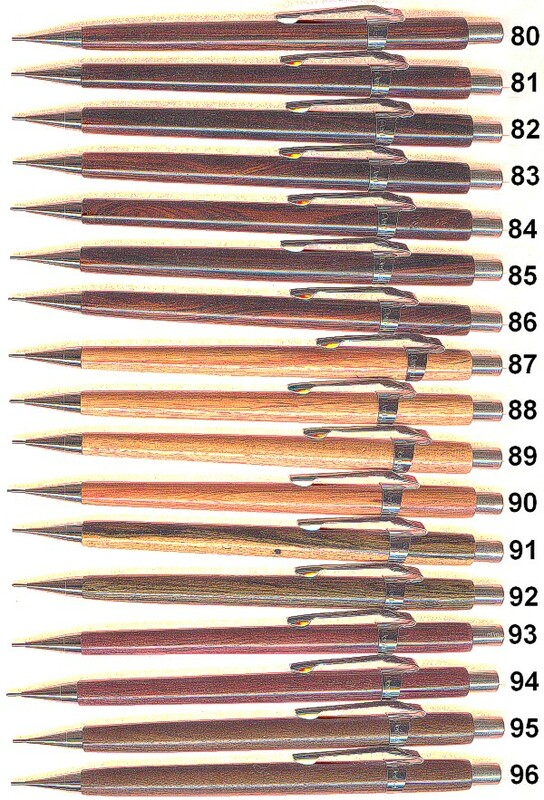 The ones at the very bottom have a flare above the end of the wood for those who hold their pencil higher up. (Paypal ID: -- Bill@Turn-of-the-Century.com -- should fill in automatically.